New! Participant's Guide and Bible Study. New! Free online teaching videos. - What makes gossip wrong? - Why do we do it? - More importantly, how do we stop it? and also in a variety of e-book formats. This is my first attempt at writing a book, and it has been encouraging to hear back from advance readers that it has been helpful to them. 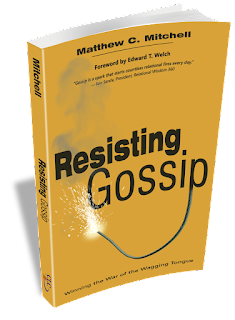 "Dr. Mitchell not only walks alongside us as a brother in Christ to help us understand the subject of gossip, but also gives a proactive, biblical, and applicable plan of how to deal with it through the changing of our own hearts. 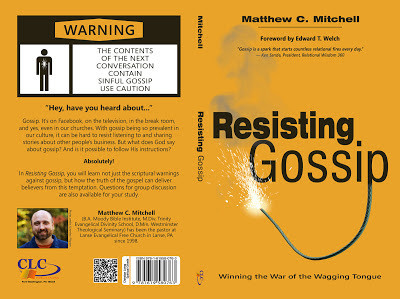 This book is an excellent resource within our School of Discipleship." – Matt Cox, Executive Director of Miracle Mountain Ranch Missions Inc, homeschool father of 5. 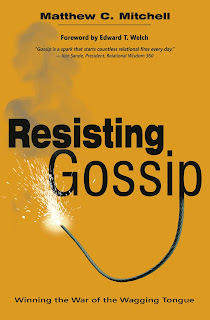 Resisting Gossip is published by CLC Publications an evangelical missions organization with a rich history of providing Christian literature for a needy world.